The other day I tried cinnamon milk for the first time! Warm milk with a cinnamon stick added to it together with some honey!! It’s so delicious and warm on a cold day and has that lovely cinnamon scent too! 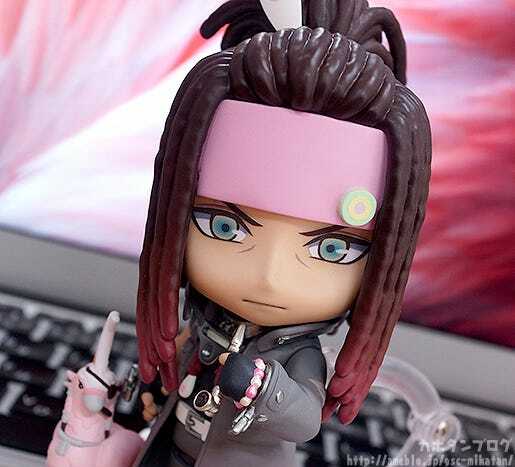 From the PC game ‘DRAMAtical Murder’ comes a Nendoroid of the condemned convict who went through unfathomable despair – Mink! He comes with two face plates including his standard expression as well as an expression with closed eyes that can be used to convey all sorts of different emotions. Optional parts include his beloved smoking pipe as well as the survival knife that fulfilled his wish. 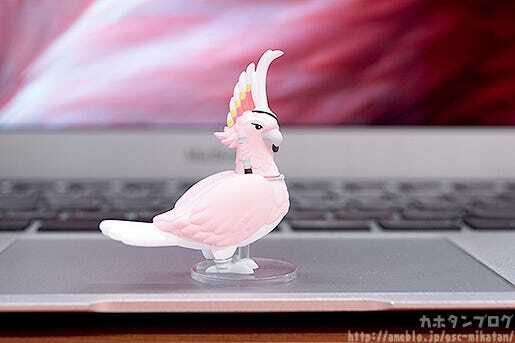 His parrot-type ‘ALL-MATE’ Tori is also included to display beside him. The details of his dreadlocks, handcuffs and other unique accessories have been sculpted with careful attention to detail. 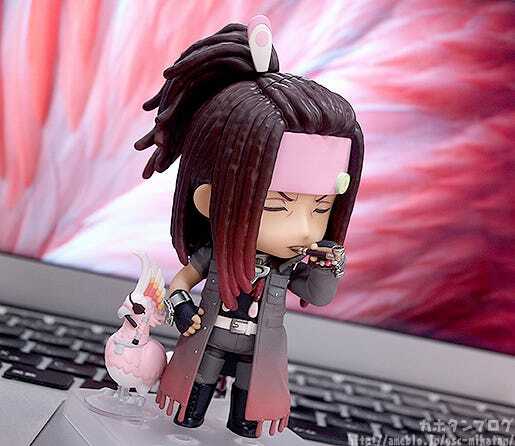 In addition, an injured expression for use on Nendoroid Aoba is also included, allowing you to recreate the scene where Mink imposes sanctions on Aoba. 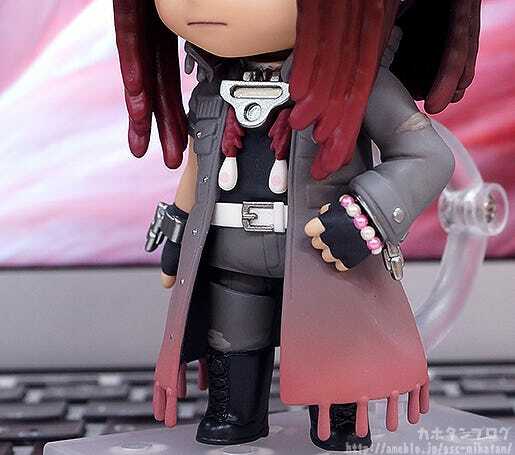 Also note some of the smaller details such as the feather hair accessory, or the damaged parts of his outfit on the sleeves of the coat as well as on his knee! 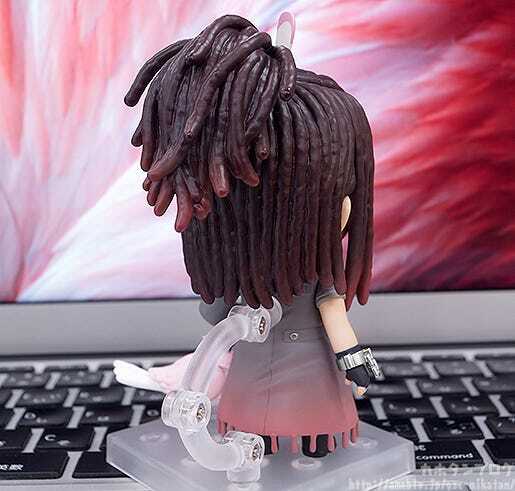 The back part of his deadlocks has also been faithfully sculpted! As I’m sure you have noticed, Mink is also not alone! He comes complete with his parrot-type ALL-MATE, Tori!! ▲ Also note the eye-patch and cigar! 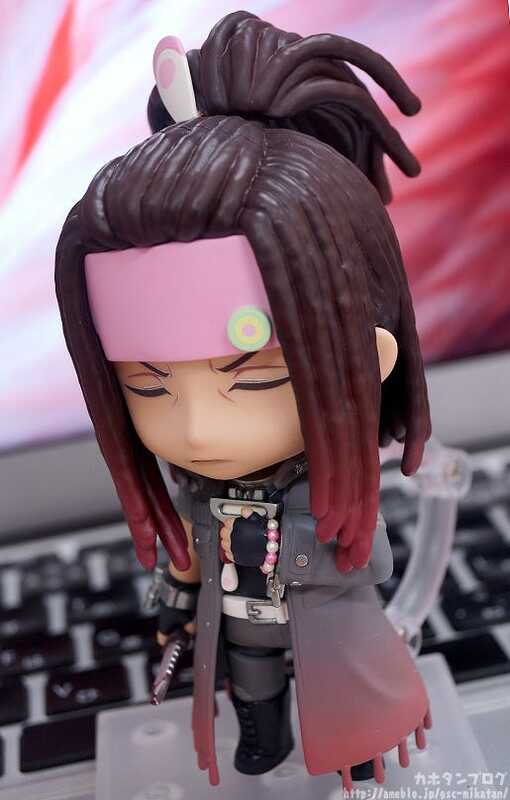 Mink comes with an expression with closed-eyes as an alternate face plate! The furled eyebrows make him look like he is in deep thought about something… yet in contrast his eyelids look like they have been closed rather gently! The expression can be used for all sorts of different emotions! It doesn’t look fresh, but rather like it has been on the blade for a little while… those who have played the game will know exactly what this blood stain means!! 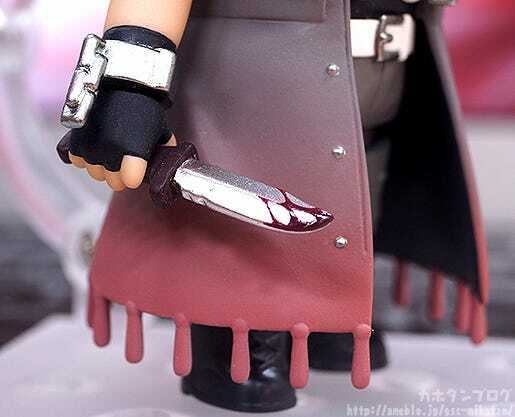 In addition to the knife, he also comes with his smoking pipe! 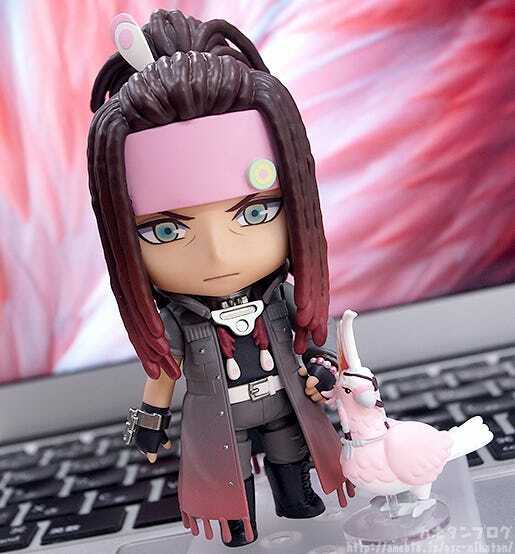 Mink also comes with a special part for Nendoroid Aoba! 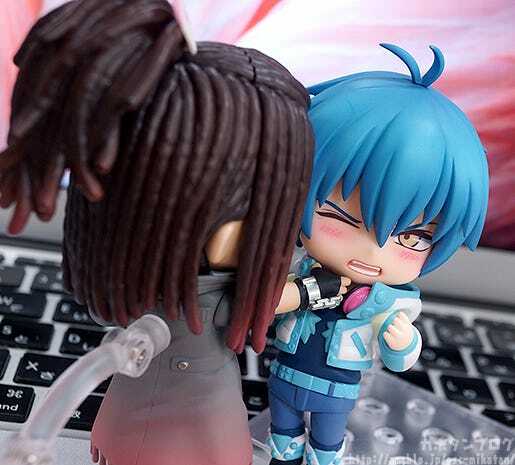 A special injured face plate designed for Nendoroid Aoba to recreate the scene where Mink strangles Aoba is also included with Nendoroid Mink! Be sure to add the adorable head of Scratch to your collection! 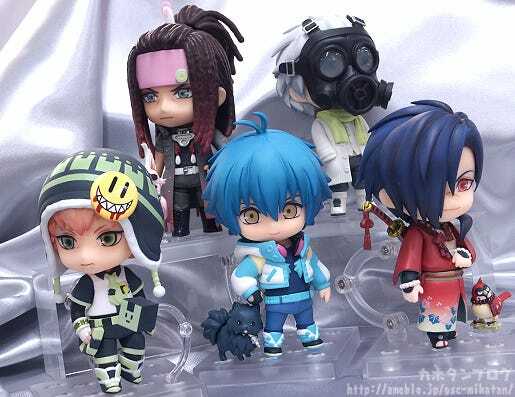 As with the previously released DRAMAtical Murder Nendoroids, Nendoroid Mink will also come with special package background sheet which will only be included with the first edition! The design will be announced on the ORANGE ROUGE Twitter account at a later date!